Mr. Byrne’s first class have been learning all about Spring for the last few weeks. Lots of things happen in spring, like baby animals being born, new plants growing and the weather becoming more changeable. We have decided to do some work investigating plants and what they need to grow. 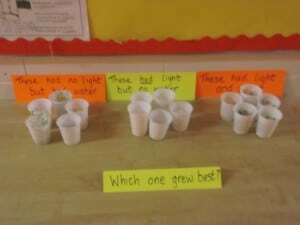 We wanted to sow sunflower seeds but first we needed to investigate what plants need to grow well. We sewed seeds in a cupboard, in sunlight and without water. We found out that plants need both water and light to grow and that they don’t even need soil! 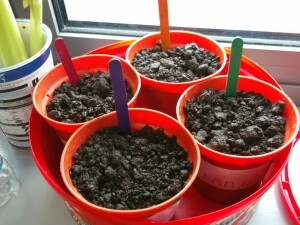 Now we have sewn our sunflower seeds and they have already started to grow because we know what they need!! !